There is a reason why dentists exist. A board-certified dentist undergoes years of specialized training to be able to properly care for your teeth and gums. From oral health issues to cosmetic improvements, your smile should be handled by someone who carries the necessary credentials and qualifications to do so. Unless you are a dentist yourself, this means avoiding the temptation to tackle dental concerns on your own. Considering the evolution of technology and a culture that heavily relies on the Internet, DIY dentistry is far too available. 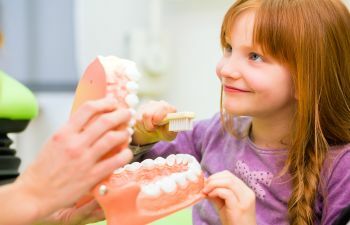 DIY dentistry can include any dental product that can be ordered online and used without the care or management of a certified dental professional. 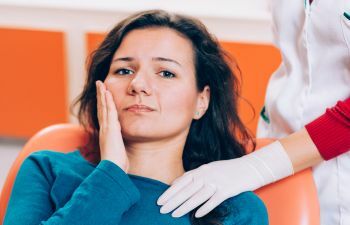 From DIY cosmetic dental treatments to mail-order nightguards and orthodontics, the possibilities are (fearfully) endless when it comes to addressing dental problems at home. 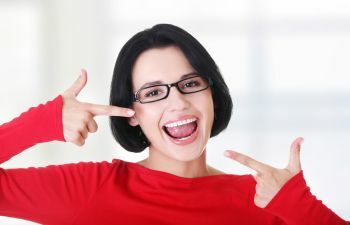 However, whether you are trying to save or expense, it is not worth the risk of choosing DIY dentistry for your smile. Correcting your smile or addressing oral health problems aren’t like fixing your kitchen sink or tuning up your car. Your smile health has a drastic impact on your overall health and your quality of life. It deserves a professional! Whether it is a special “LED mouth piece” or a “powerful bleaching gel”, online whitening products aren’t always approved for safety and effectiveness. Most importantly, they are not customized for your unique smile. Cosmetic dentistry of any kind should be tailored just for you. In addition, it is important that a dentist clears you for teeth whitening instead of neglecting gum disease, severe decay or other oral health problem. What’s the harm in ordering a nightguard to stop your husband’s loud snoring or prevent you from grinding your teeth while you sleep? There are major risks involved. First and foremost, snoring and bruxism can be a sign of sleep apnea, a serious sleep condition that should never be treated on your own. Second, mouthguards that are made of “boil and bite” material are often soft and squishy, which means they may stimulate teeth grinding instead of preventing it. Have you seen ads on TV about clear aligner orthodontics that you can do on your own? This may involve sending an impression of your bite in the mail so that your “custom” aligners can be made. While perhaps more affordable than Invisalign from a dentist, this method of orthodontics poses serious threats for your smile. Moving and aligning teeth should never be done without necessary x-rays and the physical examination of a dentist or orthodontist. You may also find ways to close your teeth gaps online as well. By purchasing sets of special rubber bands and putting them around your teeth, your unsightly gaps can be solved on your own. Not so fast – the precise alignment and occlusion of your teeth are nothing to play around with. 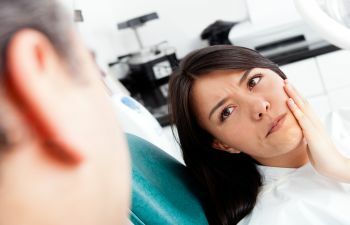 Not only are there non-orthodontic ways to fix gapped teeth at your dentist (bonding, veneers), you should never assume the task of forcing your teeth to move in a different direction. This often results in more dental concerns than you began with. At Muccioli Dental, we urge patients to avoid DIY Dentistry or Mail-Order Dental Products. We can help remove the obstacles you have about physically going to the dentist. If it is time, we offer flexible scheduling. If is cost, we have financing options. If it is fear or anxiety, we offer sedation dentistry. Please leave it to a professional to care for your smile!